Will a new e-commerce site fit in the crowded world of established competitors? E-commerce players with intimate knowledge of Amazon think Marc Lore may have the time, money and business model to keep the new marketplace aloft. According to Brad Stone's book The Everything Store: Jeff Bezos and the Age of Amazon, the all-powerful marketplace set its Competitive Intelligence unit on Marc Lore's Diapers.com business, dropped diaper prices on Amazon.com by up to 30% to bleed the successful startup, and ultimately pressured it to sell out to Bezos and company for close to $600 million. This week, Lore set out to lower prices — and, one guesses, the boom — on Bezos and Amazon with the launch of a new all-encompassing online marketplace called Jet.com. Jet is a $49.99-a-year subscription service that offers free shipping on all orders of $35 or more. Most important, however, it promises to give members the lowest prices possible, even if it loses money on the deal, which it intends to do until at least 2020. 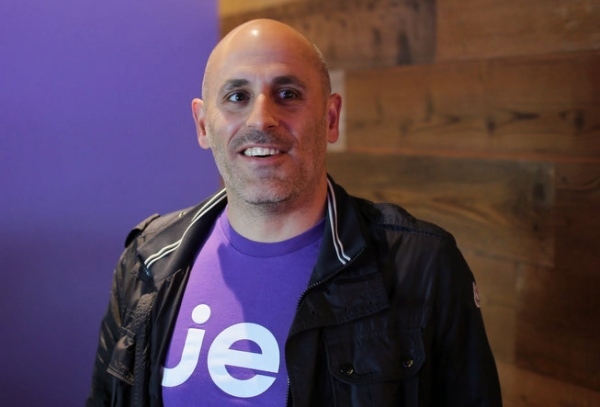 One of the most highly capitalized e-commerce startups in history, Jet has raised $225 million and intends to burn its way through hundreds of millions more to build out its product selection. It goes so far as to operate a "Concierge Service" that buys merchandise it doesn't have from other retailers and taking a loss by selling it at a lower price. A crazy idea? It might seem so if it wasn't the battle-tested and highly capitalized New Yorker Lore behind it. "No doubt about it. This is a really audacious bet he's making, but Marc is not somebody I would bet against. Price, selection and speed is what Amazon is all about, and price is the jugular that Jet is going after," says David Spitz, CEO of ChannelAdvisor, whose platform connects suppliers with online retailers the likes of eBay, Alibaba, and, of course, Amazon. "Amazon does a good job with best price, but the difference here is in the business model," Spitz explains. "Jet doesn't charge a commission on a sale. It makes its money with the annual subscription fee. Amazon takes an average 8% to 15% on sales. So, Jet not taking that cut leaves sellers a lot of room to play with on price." Sellers are happy to jump on board with Jet for that reason, Spitz says. "We've signed a significant number of retailers and suppliers to sell on Jet. We're seeing some pretty intense interest from the supply side of the equation." Shmuli Goldberg, director of marketing for Feedvisor, a provider of pricing optimization services to online sellers, thinks there's room for Jet.com in an Amazon world. He says that what Lore is attempting is more of a social than a retail experiment. "It's almost the antithesis of Amazon and Amazon Prime. Amazon asks people to sacrifice a better price to get excellent customer service. Jet asks them to sacrifice customer service for the best price." One thing different about Lore compared to dot.com startups of the past is the realistic, long-term plan he took to investors. He has admitted that it will take him years and a huge investment to buy share. Like a general walking into battle, he's confident of victory, but equally aware that Jet.com might run out of ammunition. Still, he has a war chest that will let him direct his campaign through the end of the decade and he has his eyes set on a defined retail territory: bargain shoppers. "I have no doubt that Jet will find a place in the market because there's a strong contingent of people — we've judged it to be about 14% of consumers — who are always looking for the best price," Goldberg says. "And he may not be looking to become profitable. He may be trying to build a sustainable business model, like Amazon." Both Goldberg and Spitz agree that the retailer in Jet.com's sights may not be Amazon at all. "I think the people at Costco have more to fear. Jet.com is looking for people to sacrifice customer experience for lower prices. Right now, that's Costco," Goldberg says. "This is a model that, if it endures, can really take off. We've seen this proven by Costco," says Spitz. "Jet can do it if they prove they're able to turn seller commissions into sustainably lower prices. If it were some unknown quantity behind this, I might be wary, but Marc Lore knows the business and knows where he's heading."